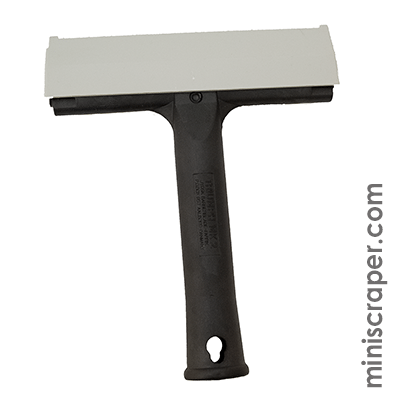 Triumph Classic MK2 6″ Scraper – Straight Handle. Triumph scrapers have long been known in the professional window cleaning and window film installation arena for their superior quality and ease of use. 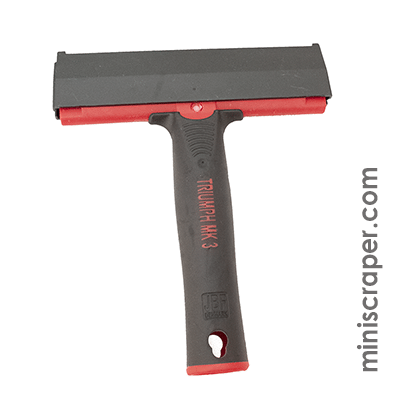 This classic scraper is a Best Seller and an industry standard. 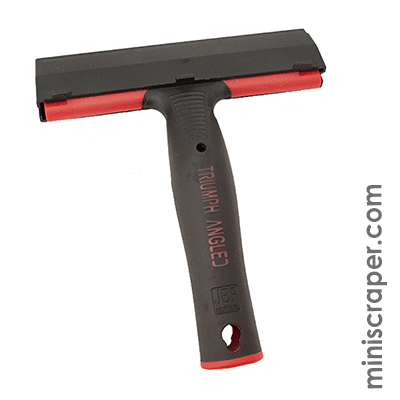 The scraper comes equipped with a safety cap and one 0.20 mm carbon steel blade. 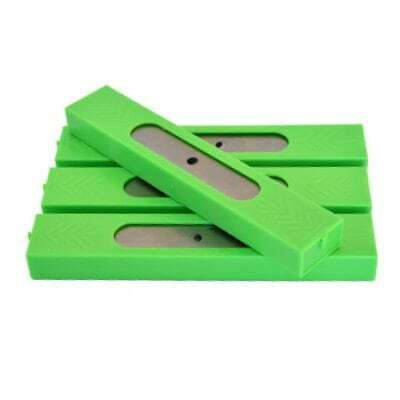 Affordable replacement blades in carbon steel 0.20 mm available. 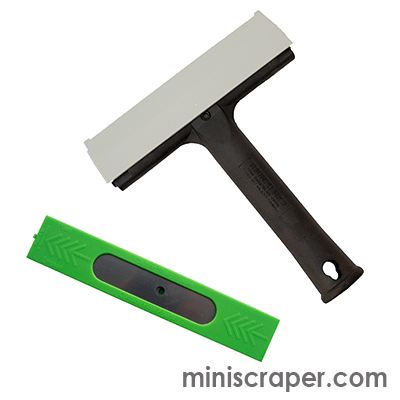 We also offer 6″ plastic blades for jobs that require scratch-free scraping. 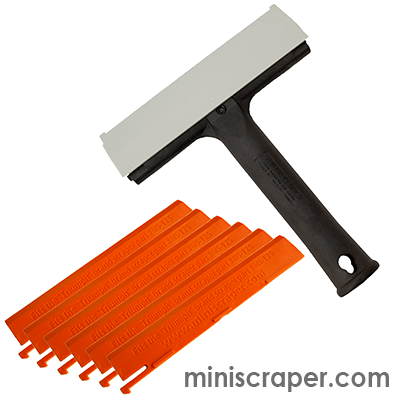 Order the scraper, the scraper with carbon double-edged 0.20 mm blades in a 25 blade cartridge, or the scraper with 6 plastic blades. Simply use the drop-down menu “Click for Choices” to select your preference.